Lovely baby shower cakes with a choice of sponge colours. 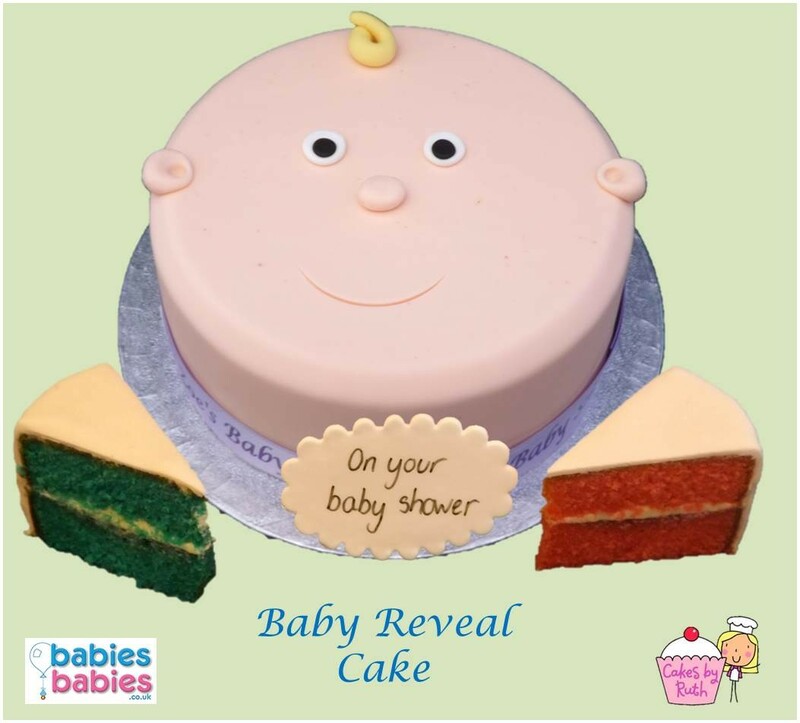 If you want to announce the baby's gender in style our baby reveal cakes are perfect. Just choose even pink or blue sponge. The cakes are all freshly made to order using top quality ingredients and free range eggs. You can have the name of your baby added to the cake or even have a personal message added.